In four years since becoming an assistant professor at the University of Rochester, Ehsan Hoque has earned an impressive set of honors. And now, he’s on the Science News 10 Scientists to Watch List for 2017. This may not sound like someone who dropped out of his first computer science class at a liberal arts university in Missouri—not once, but two semesters in a row. Or someone who failed to hit the “submit” button when trying to pick computer science as his major at Penn State. Born and raised in Bangladesh, Hoque grew up with computers all around him. He enjoyed them purely as a consumer—watching movies on computers as a high school student, for example—without knowing anything about programming. However, when he came to the United States to attend college, the dot-com bubble was at its peak. “There was a big excitement about computing, and so I figured this must be a hot space, something I needed to study,” Hoque says. He took his first programming class at Truman State University, which had given him a full scholarship. Unlike Hoque, most of the other students in the class had taken advanced placement computer science classes in high school, so the instructor taught at their level. “I really struggled through all my assignments, and ended up dropping the class,” Hoque says. He tried again the following semester, and again dropped the class. So shaken was his confidence, he began struggling in all his classes. But this time the struggles were paying off. The classes were small, and he was forging good relationshiops with his professors—especially with Ralph Ford, now chancellor of Behrend, who allowed Hoque to take his “first baby step” as a bona fide researcher. 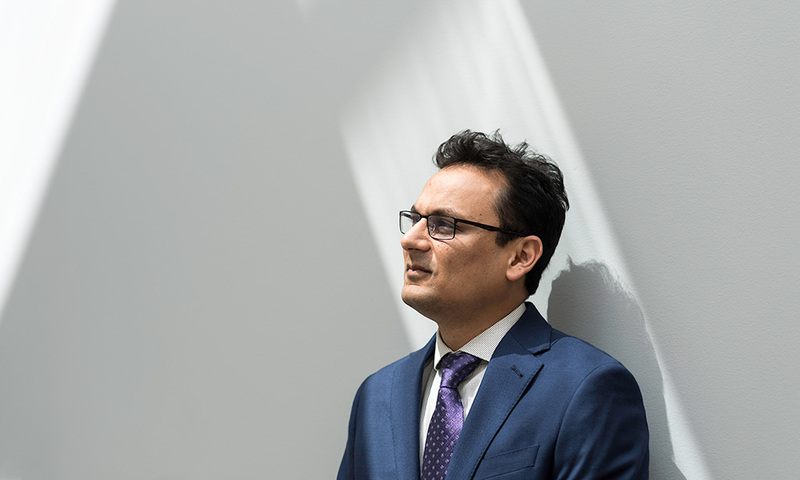 By his fourth year at Penn State, Hoque knew he wanted to explore whether computers might be able to recognize human emotion. Even as a child, he was fascinated by human emotion. “As a kid I traveled a lot to many different countries, and I would talk to people of different cultures. Even if I didn’t speak their language, it was still possible to discern their emotions,” he says. So novel was the idea, there were no courses offered on the topic, so Ford let Hoque pursue it as independent study. By then the dotcom bubble had burst. Rather than try to find a job in computing after he graduated, Hoque took a low paying job at a call center in Erie. The job was “tedious, and after awhile you felt like you were losing your mind,” he says. But it enabled him to spend nights pursuing his research with Ford. After a few months, they published a paper. Ford provided Hoque with funding to present the paper at a conference in California. Hoque’s PhD thesis at MIT yielded the first scientific evidence that it is possible for humans to improve their face-to-face interpersonal skills through a virtual assistant. The system, called MACH (My Automated Conversation coacH), consists of an animated character that can see, hear and respond in real time while people practice social interactions in private. The project was highlighted by the MIT Museum as one of the most unconventional inventions at MIT. Hoque’s research has been supported by a healthy number of federal and industry grants for an early career faculty member. At last count, Hoque has been principal or co-principal investigator on nine grants totaling $6.6 million. So if resilience was key to overcoming those early mishaps in Hoque’s career, what has contributed to his subsequent success? Hoque’s research is unique. And he’s drawn on personal family experiences to find applications for it that address universal needs. His brother, for example, has Down’s syndrome, which helped inspire Hoque’s interest in developing an automated coaching app that could help people with disabilities hone their speaking and social skills. And he’s continued to apply the lessons of resiliency he learned so well as an undergraduate. Hoque, like other researchers, knows what it means to carefully craft a grant application or scholarly paper, only to see it rejected. However, “when you have a plan, and you keep trying and trying, you maximize your chances of being successful,” he says. That’s why, year by year, he keeps a running list on a Google doc of all the possible opportunities he’s planning to pursue, months, and even years, in advance. Most of these, he concedes, don’t pan out, and end up marked in red.